Definitive’s in-ceiling DI 6.5STR speakers feature near-invisibility thanks to their small diameters, hidden flange design, and low profile micro-perf grilles. They are as easy to install as traditional flanged flush-mount speakers, and don’t require custom sheetrock/spackle skills to install yet they are practically invisible. 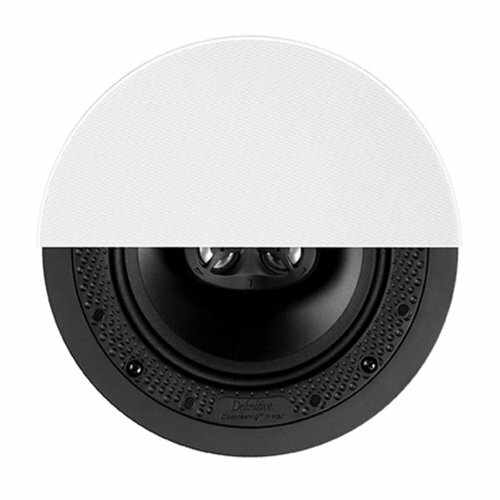 The DI 6.5STR grille is a mere 8-5/16 inches (21.04 centimeters) in diameter, about the same visible size as competitive 5-1/4-inch in-ceiling speaker.